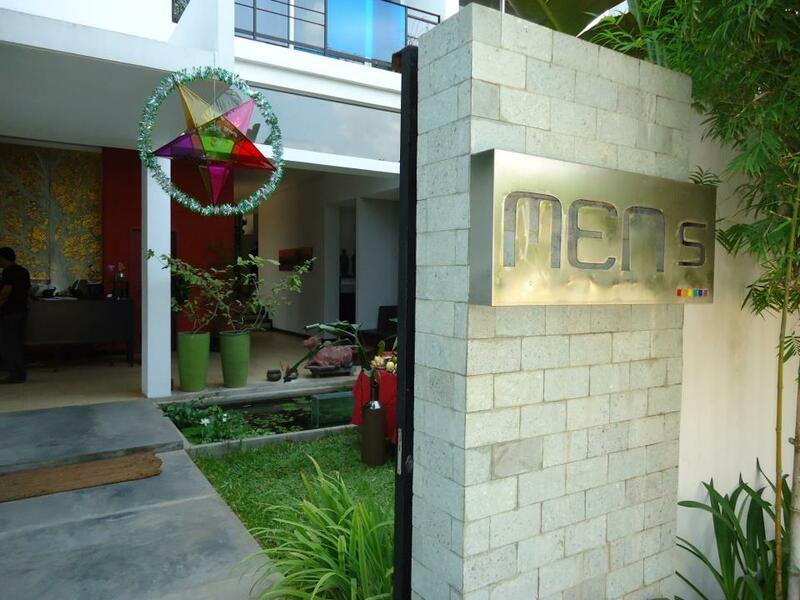 Men’s Resort & Spa is a chic and modern hotel, “exclusively for men”, at a short distance from the city center of Siem Reap and the temples of Angkor Wat. The guests will relax in the friendly and cozy atmosphere of this complex, designed to provide a wide range of services for gay men. The 10 rooms, each of which offers a specific atmosphere through an original and sensitive design, are spacious and modernly furnished with LCD TV, satellite, Wifi, fridge and mini bar, A/C and fan, lovely bathroom, and private balcony with pool view for the suites. Unlimited access to sauna & spa, gym and to the 18m swimming-pool are included in the room rate, only the massage services will be at your charge. Enjoy the large space of the two available bars, truly stylish with an entertaining and kindly staff, a wide choice of cocktails, snacks and ice-cream, an ideal place if you wish to make new friends.